Day 4 brought us 2 hours up the Ucayali River to a Shipibo tribe in Limongema. 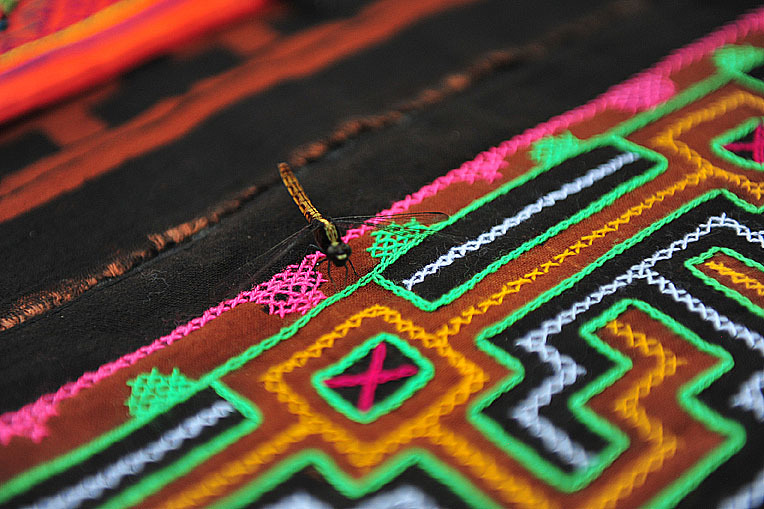 This indigenous group to Peru are known for their intricate embroideries inspired by a personal journey through the natural world. Pure Art’s collaboration with the Shipibo is one that illustrates our vision that art, through access to global markets, can empower people to create sustainable communities. Over 5 years, we have been working with the Shipibo artisans, developing their skills, in order to create products that can be sold at Pure Art. This journey brings many business challenges, from quality control to management of inventory and pricing structures. By the end of our day with the artisans, we had come to a clear understanding of what needs to be done to build a sustainable partnership. To see Brigitte working with the Shipibo artisans, check out this video!